I took a "lunch" break around 1 a.m. on a recent Thursday morning, put the Ellis Paul station on Pandora in my headphones and plopped down on the couch to relax, maybe doze for a few minutes before heading back to work. A pleasant little guitar intro came on and a voice that sounded somewhat like Richard Thompson's came on but without the rasp — or the British accent. I looked at the app and it was something newer from David Wilcox. That's a name I haven't even thought about in almost 15 years, even though he used to be in fairly heavy rotation in my orbit. Not just his music, but the artist himself. And then it occurred to me that 15 years ago, the fact that 15 years could go by was barely a thought to me. At that point, 15 years was more than half my life. I had been in middle school 15 years prior to that. There are various theories on alarm clocks. The prevailing wisdom seems to be that if you can avoid waking up to an alarm, you definitely should. The next best thing would be to wake up to something that brings you awake slowly, rather than startling you into the day. I might set an alarm seven or eight times a week, but it's rare for me to sleep through until it goes off more than once, but if I'm up and going a few minutes before my alarm — and I'm not in a spot where it might interrupt someone else's sleep — I might just let the alarm go off anyway. It's a good reminder as I start the next part of my day — sometimes it's morning, sometimes it's before I'm getting ready to go to work, sometimes it's getting ready to go back to work after a break — that we all have a full range of possibilities and feelings. It's a song that really struck me on an album that really struck me. Stay Human was a concept album with a thread of independent media, protest, false charges and state violence. It came out in 2001, near the end of the importance of albums as a collection of music. Albums are back now, but they're largely for collectors, or for people who want to get the sort of buy-10-songs-get-5-free that downloading a digital collection has sort of become. But in 2001, we didn't have YouTube. We didn't have SoundCloud. We were just starting to get high-speed internet in our homes as a matter of course. The song first made an impression on me seventeen years ago. If it were a human, it could have its driver's license. Does that mean it's not still relevant? Not at all. Does that mean I may have missed a lot of music with a lot of music by holding onto it? Maybe. Probably. Neither Wilcox nor Franti is sitting in 2002. Am I? This question covers a lot of ground. My music preference is definitely stuck somewhere in the late '90s and early '00s. That's normal; the average person has their favorites locked up by the time they're 30. I've done a little discovery, but not much has stuck. The same goes for movies. But what about the rest of my life? Do I think I'm still in my late twenties? Did I forget to skip ahead? 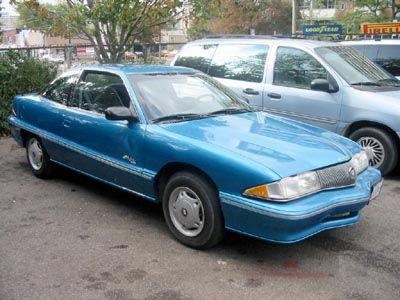 Growing up in my house, "midlife crisis" modified the color blue of the car my dad bought in his mid-40s. The phrase itself, "midlife crisis," was coined in the 1960s. It turns out most people who describe themselves as going through a midlife crisis in reality have a few stressors (such as divorce or a significant job change) sometime between their mid-40s and mid-60s. The same guy who came up with midlife crisis also came up with corporate culture and a few other social constructs that don't seem to say much, without going through a pile of primarily anecdotal research. I'm having a kid at 42; that probably qualifies as a big change. This isn't a midlife crisis by any stretch; really it's a moment for reflection. Do I miss some things from my younger days? Maybe. Really, what I probably miss is youth. That expression, "youth is wasted on the young"? It refers to the fact that all the stuff we do as we get into our 40s and 50s and 60s would be so much easier if we had younger bodies, while so many people who possess those younger bodies make what we might call youthful indiscretions — drinking too much, eating a few too many cheeseburgers in a night, maybe getting into a fight — rather than using those younger bodies for the constructive stuff we'd rather be doing. I guess it loops back to music. But the lesson comes: The things that are behind us have shaped us, and continue to shape us. It's up to us whether not only our tastes evolve as time passes, but also whether we continue to learn new things as we grow older.